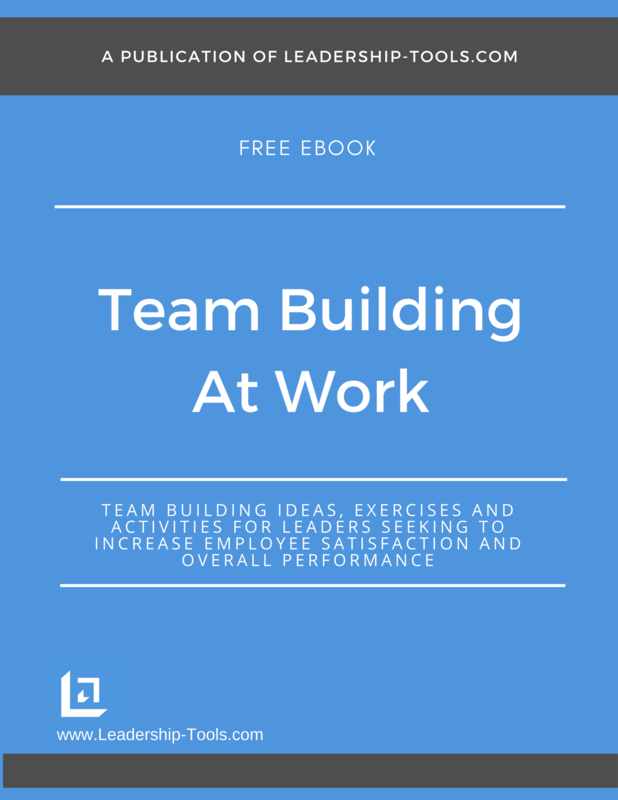 Discover team building strategies for leadership development and other important topics in our free eBook, Team Building At Work. A leaders most important job is too help create other good leaders. Use these team building and leadership ideas and create a legacy of leadership as you make leaders of your team members. The level of effective leadership is often the root determination of whether a team is exceeding expectations, meeting them, or falling below minimum expectations. A solid leader has the power to turn an otherwise good performer into a great performer; a respectable performance into an exceptional performance. When a leader is fully engaged, the odds are very high that the team will also be engaged. The opposite is also true. Strong leaders provide a clear vision for what needs to be achieved, and a solid plan of action for how the team will get from point A to point B. Leaders focus their team by breaking down the project into small bite-sized tasks that will ultimately add up to achieving the larger goal. Great leaders are also great communicators. They know how to relate to people and can inspire their team to buy-in to the vision and commit to working hard for a successful outcome. "Leadership is the X-factor that provides an added edge to an individual or team." Leaders that are most effective lead by example and often use team building strategies to encourage a strong connection among team members. 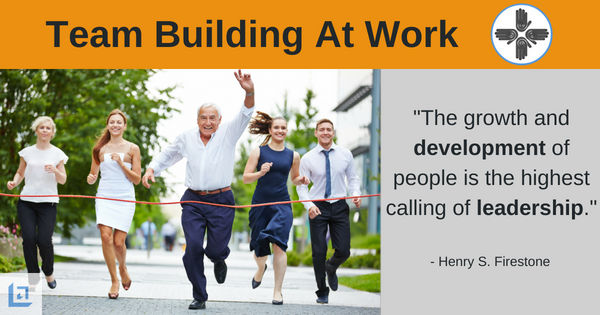 At the beginning of a new project this can be critical to the success of the entire team. The best leaders are not a stranger to the front line. They know the names of their team members. They not only talk the talk, they regularly walk the walk. They teach, they coach and they hold themselves and their team members accountable for results. Consider using one of the following team building strategies as you strive to lead your team to their next greatest victory. Purpose: To encourage team members to educate their clients rather than accepting "No" for an answer. To ultimately educate clients on the benefits they can receive, meeting multiple needs. In return, the business increases sales and bottom-line results. The reason one should make that assumption is that most customers instinctively say no because they are often very busy and don’t want to make the time to fully consider your offer. They are constantly being bombarded with sales offers and would prefer to get on with their list of tasks to complete for the day. Your challenge as the leader is to teach your sales staff how to turn those “No’s” into an opportunity to educate their clients so that they truly understand the cost of saying no. Until your customer is fully educated about the benefits of your product or service, they truly do not know whether or not it makes sense for them to buy it. The customer must understand the true value of what they are being offered. If your sales staff can clearly and concisely define the value as being much larger than the actual price of the product or service, your sales will skyrocket! Leadership and team building strategies like the one we're about to share will help your team define every possible benefit of your product or service. Once they are armed with the information, they'll be better prepared to win the business. Provide each team member with a form to list every potential benefit of the product or service. Ask team members to share ideas in small groups and discuss the many benefits available to their customers. Encourage out-of-the-box creative thinking and reward your employees for the most powerful and unique ideas. Next, bring the larger group together as ask each of the smaller groups to present their ideas. Facilitate a discussion to determine a master list of the most persuasive benefits. Next, ask your team to identify a list of the most common objections they hear from customers. Then, using the benefits identify, have your team craft the perfect response to each objection. By know what to say to effectively overcome objections, your sales staff will be more confident and be less likely to take No for an answer. 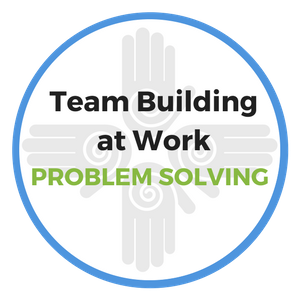 As you can see, team building strategies can be used to help your team create highly effective tools for success. Purpose: To teach team members the important life lesson of responding to adversity rather than simply reacting to it. Success in your job and in your life is directly dependent upon the personal choices you make. In order to ensure your team members are making good choices you must make certain that they understand the difference between reacting to a challenging situation, versus being disciplined to respond in a thoughtful and professional manner in any given situation. As leaders we simply must not allow ourselves the luxury of having a bad day in public. Does that mean we never have a bad day? - no, not at all. However, a great leader is disciplined enough to realize that it does no one any good to share his bad day with others as it will only encourage others to do the same thing. If everyone is constantly telling his or her tales of woe, the workplace will quickly become a very dismal environment. Next, instruct your team to list what actions they took following their disappointing discovery. Be specific in terms of verbal responses, body language, tone of voice, etc. Finally, ask them the following question. In hindsight, did you quickly react, or did you thoughtfully respond? "A thoughtful person can change the world. Indeed, it's the only kind of person that ever has." Make the point that a quick emotional reaction tends to be an indulgence on the part of that person. It’s a choice that is made almost without thinking and leaves the person open to being perceived as being undisciplined, unprofessional and unstable. On the other hand, a thoughtful response will almost certainly help to gain credibility and respect from others. A thoughtful response demonstrates maturity and self-discipline. Use the analogy of how a doctor prescribes a medicine for an illness. When the patient takes the medicine, it’s most desirable to “respond” to the medicine rather than have a “reaction” to the medicine. One is positive, the other is negative. Consider sharing real examples of customer complaints based on employee behaviors. Have the team come up with how the employee could have better responded in order to avoid having an unhappy customer. Teaching your employees leadership and team building strategies like this one, provides important life lessons that will assist them in virtually every aspect of their personal and professional life. They will always remember who taught them how to make the Winner’s Choice. To download our free Team Building At Work eBook, providing team building strategies, ideas and exercises, simply subscribe to our free newsletter. You will immediately receive a password that grants access to our entire leadership tools library.